The first white subway tile we brought home was the stock product from Home Depot (far right). It looked pretty darn white in the store. We brought it home and were shocked it looked much darker than our cabinets. And next to our white trim it looked almost taupe! We knew then that it was going to be a bit tricky. 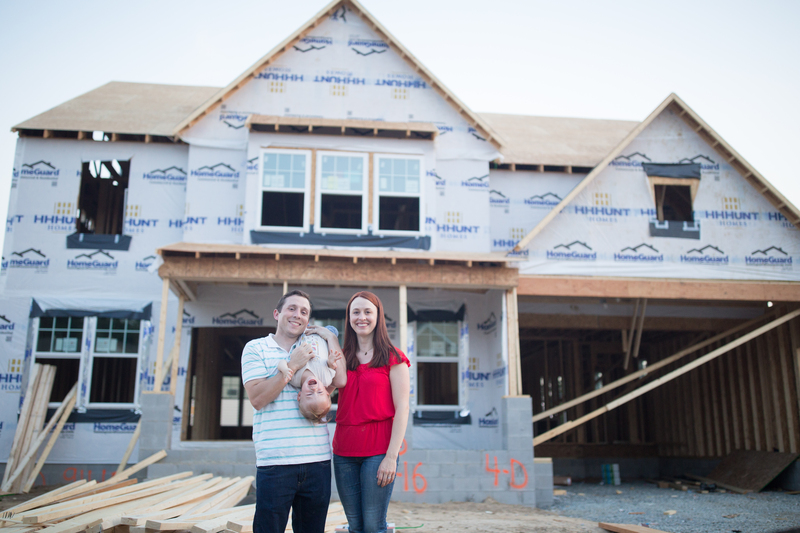 We began collecting subway tile at all the major stores in-town. And I also ordered a few samples from online. Color. We wanted something slightly lighter than our cabinets which are a mid-range off-white. In areas where our cabinets are close to white trim they can look quite dark. In areas of the kitchen where the cabinets sit farther away from the white trim, they look whiter which made it even more confusing. If we chose a tile close to our trim, would the cabinets look dingey? We figured in the end it would be easier to repaint all of our trim a bit darker than to repaint our cabinets. Cost. Some of the options listed below are 5x the cost of the others. It was hard to want to like these tiles. Lugs. These are the built-in spacers that some subway tile has. The options that are lugged all have a 1/16 inch spacer built-in. Since the tile self-spaces you don’t have to add spacers in later which supposedly makes installation easier. And we definitely need easy as this will be our first tile experience. The good news is that all of these tiles have some sort of lugs or self-spacers. A few of the tiles we looked at were matte instead of polished/glossy. I first saw these used in Yellow Brick Home’s backsplash. These were really beautiful because the finish gave them an understated iridescent quality. The only problem with the matte tiles was that they look darker than their glossy counterparts because they don’t reflect as much light. Unfortunately, we didn’t find one that was white/bright enough. Also, our cabinets are basically matte so we thought the glossy would be more interesting. So here’s the roundup of the tiles we purchased. 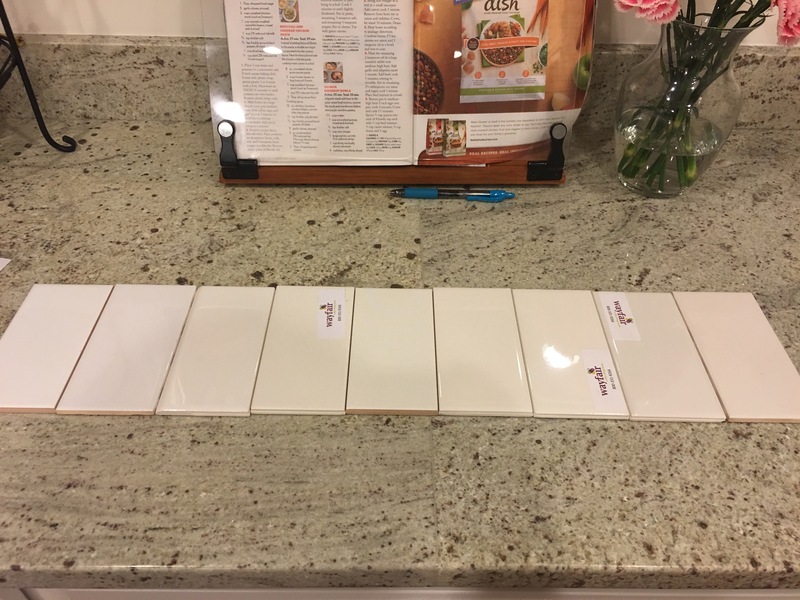 These are your basic white subway tiles at major stores in Richmond and a few options I purchased from Wayfair. They’re listed from whitest white to darkest off-white (left to right in the photo). spot on to our cabinet color but light enough? Would it blend in? darkest – white snow? scoff. So there you have it. In the end, we went with the Imperial Bianco glossy. We very nearly went with the Arctic White by Daltile because of the huge difference in cost but in the end we decided this was something we should not skimp on.